Do You Pick a Book By Its Cover? 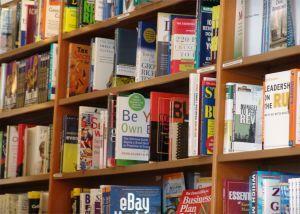 I was wandering around a bookstore a few days ago and doing what I see a lot of people doing in bookstores. Looking through the aisles, stopping at books that catch my attention by their covers and then turning the book around to read the blurbs and synopsis, reading the first page and seeing if I’m interested from there. How important are covers in terms of selling a book? Have your publishers asked you for your opinion or “input” on your covers, and to what extent do you think they listened? Did you ever meet with the designer? How important was “marketing” in making decisions about the cover of your book(s)? Did you ever receive a cover that made you unhappy and if so, what did you do about it? Did you ultimately end up with a cover that made you happier? How important are blurbs, particularly for a first-time author? How did you go about getting your blurbs? Did your agent or editor help, or did you rely more on personal connections? Have you ever offered someone else a blurb? It’s an interesting read on how much control, or non-control they have in how their book is presented. Definitely worth a look at it.